Do you hunt on the beach for treasure? My kids do, and actually I do a lot too. Beach treasure tends not to be silver and gold that pirates have hidden (sorry, I’d appreciate that too) but shells, pretty stones, sea glass and driftwood. 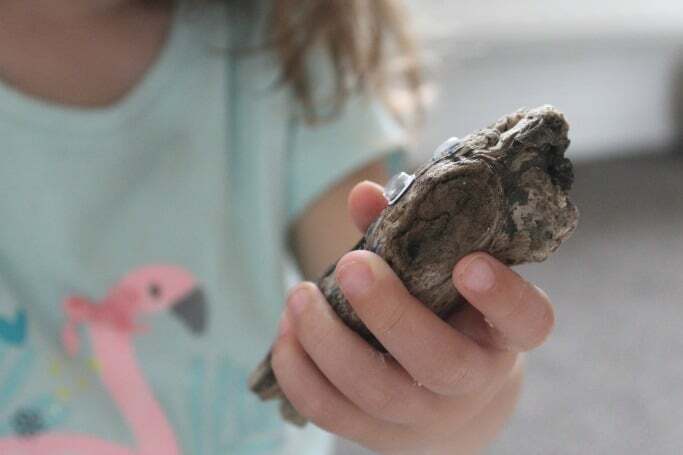 The problem of course is then what to do with your treasure, we’ve previously made seashell decorations and DIY story stones and today we decided to make something with this driftwood craft for kids. 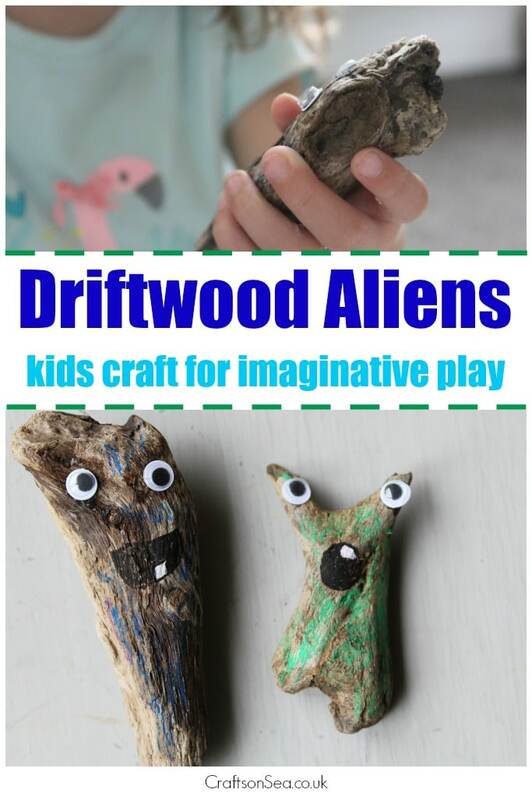 I did this craft with my son who is five and my daughter who is two, I also made a couple of aliens myself because I quite enjoy joining in with the kids stuff. I suggested making aliens because there is no ‘right’ way to make them, so I knew that if my daughter decided to put a googly eye on the aliens foot my son couldn’t say she was doing it ‘wrong’. Believe me this kind of foreplanning tends to become quite important during the school holidays! 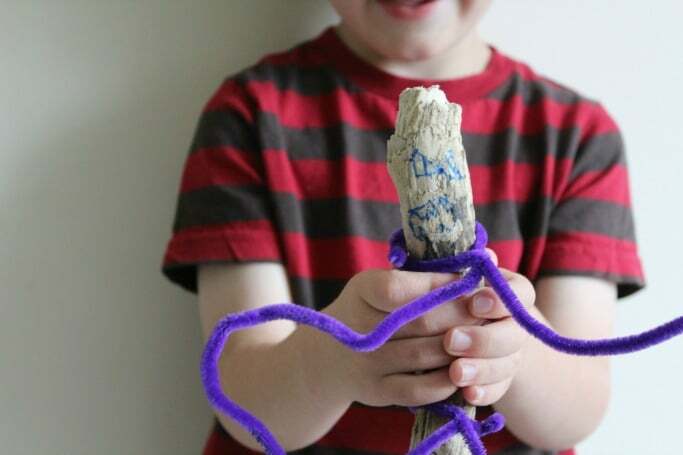 My daughter enjoyed dripping glue onto her monster and drawing on it while my son decided to make long arms and legs for his out of pipecleaners that we twisted round the driftwood. I wasn’t sure how much they would want to play with their aliens once they finished making them, but actually they happily sat with them for ages, making up stories about where the aliens came from and what they were doing so for a craft that’s pretty much free they probably got as much entertainment out of it as they would have a new toy. There’s probably a lesson for me there about buying new toys but I’d rather expect they’d rather I didn’t learn that one. Oh well that sounds pretty good to me!